Charlie, what’s up? I quit and work for VeriCoin. The project is formed by two coins: Verium and VeriCoin. Verium serves as the digital reserve for VeriCoin. The ground-breaking technology of Dual-Chain is overcoming the limitations Bitcoin faces in the day-to-day world (tx fees too high, processing too slow). Yes, one can (and does) use Litecoin as a faster counterpart to Bitcoin. But, BTC and LTC are two different products with prices widely fluctuating against each other, have different development teams & communities and in general, are two different incompatible products. You do want ONE product. What Verium presents is the first-ever DUAL-BLOCKCHAIN technology ⚙️⛓ Your wealth will be secured by the bank-grade hashing algorithms and yet ready for day-to-day usage at the same time, in ONE product. Verium is a PoW-T coin, mined by machines much like Bitcoin. 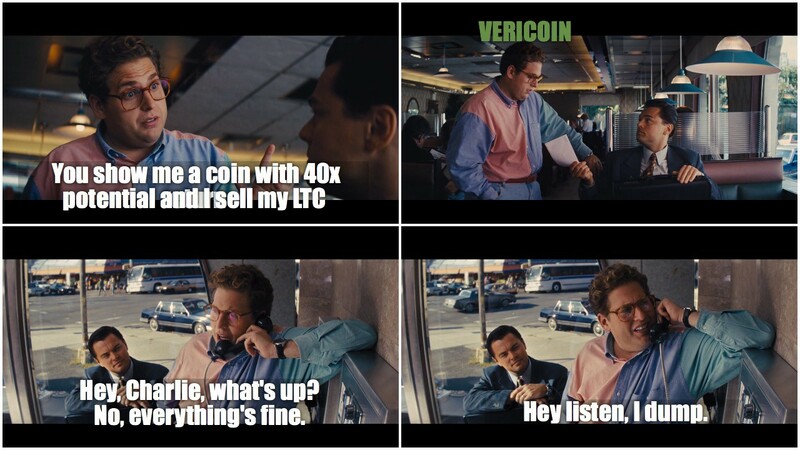 VeriCoin is a PoS-T coin, staked by users much like OK Cash. Or Ethereum in its awaited Casper release. They might have connections to the market makers, or cooperation with the developer team and know about THE SECRET SAUCE OF WEB SUMMIT Nov 7–9th?! If the Gemini Wallet (interconnecting the two chains in full) is announced, we are looking at 10x returns, minimum.